Ruka is very brash and acts as a tomboy compared to Itosu who has an opposite personality compared to hers. She acts without thinking ahead, going straight into battle against her opponents which easily let Black Lotus to defeat her swiftly. However, she is very polite in the real world as seen during her meeting with Kuroyukihime and she holds high regards for her master and the rules that he set for her and Itosu. 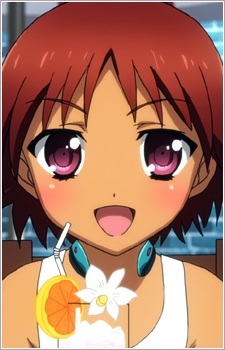 Ruka became the child of her master after he moved to Okinawa. After becoming a burst linker, she became a parent for Itosu and the two are inspired to to increase the number of burst linkers in their community.